Toxics Link and India International Centre (IIC) invite all to the “Quotes from the Earth”, a biannual environmental film festival. The festival, held since 2004, would showcase 20 exemplary works on celluloid, by some of country’s most renowned environmental filmmakers, that portray the global struggle against climate change, hunger, unclean water, polluted urban scapes and difficult survival. Categorized under 5 subheads namely Climate change and Energy Efficiency, Survival, Hunger, Urban Scapes and Water, the film festival would also host expert panel discussion on burning issues like Sustainability and Globalisation. The Festival will be inaugurated by Dr. R.K.Pachauri, Director General of TERI. 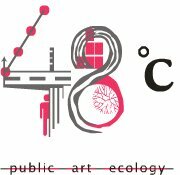 Prev48c Public.Art.Ecology Schedule for December 16 – Tuesday!